Add 1 teaspoon oil to pan; swirl to coat. Add bell pepper, celery, and green onions to pan; sauté for 4 minutes or until vegetables are tender. Place vegetable mixture, crab, breadcrumbs, 1 tablespoon dill, ground red pepper egg and egg white in a large bowl stiring gently to combine. 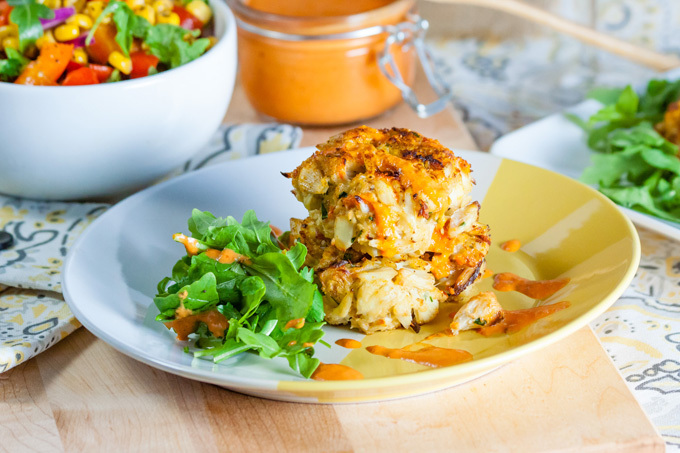 Working quickly with damp hands gently shape about a half a cup crab mixture into a small burger shape repeated with remaining crab mixture forming about 8 fishcakes return pan to medium high heat add remaining 2 teaspoons oil add fishcakes to pan cook 3 minutes on each side or until golden brown and thoroughly heated.